Join legendary sportscaster Bob Lobel and host Joe Parello as they discuss the biggest sports stories of the day and some of the most memorable moments in New England sports history. 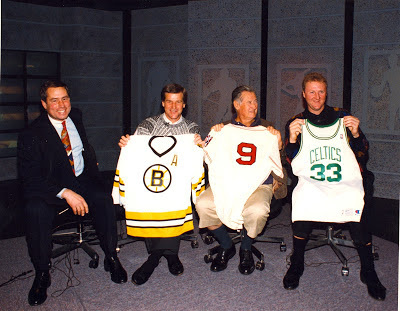 This week Bob and Joe tackle the immense rebuilding job of the Boston Celtics, the so far successful retooling of the Boston Red Sox, and the early off-season moves of the Boston Bruins. Also, what's next for the New England Patriots and Tom Brady? All that and more on this week's episode of "Catching Up With Bob Lobel."